My wife, Jo-Lo, and my mother-in-law were in Candelaria, Quezon a couple of weekends ago. It was not for vacation, unfortunately. My mother-in-law's brother died, and we were there for the wake. 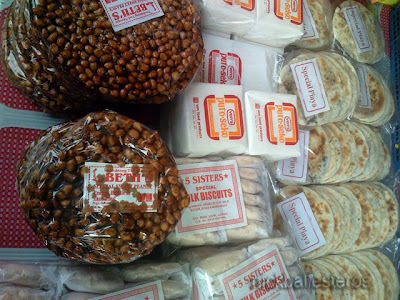 When it was time to go back to Manila, my wife knew how much I loved rice cakes and so part of our itinerary was to go to the local market and search out my favorites. 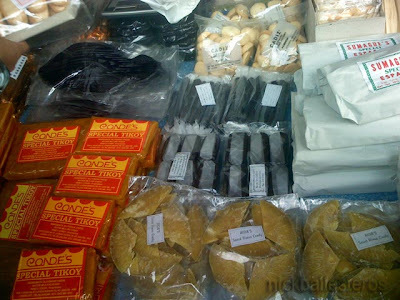 It was, unfortunately, already late in the afternoon when we reached the market and so the beloved rice cakes were already gone. Thankfully, there was still one treat left for me to try out: Quezon province's Pancit Habhab! Pancit Habhab is the street food equivalent for pancit. It is eaten "habhab"-style, meaning from the "plate" directly onto the mouth. No hands, no fork, no spoon. Nice twist, eh? 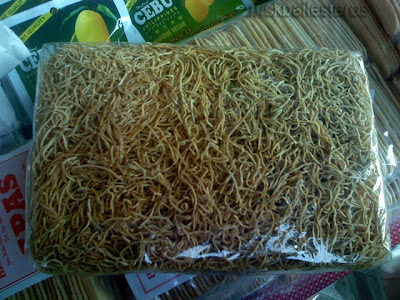 When you eat this pancit on the streets, it is served to you on a piece of banana leaf and vinegar is poured on it. But we were eating at a friend's home so pack it up the vendor did. Here's the pancit habhab, this time on a bowl. And we bought some crispy fried lumpia as well! So what can I say about the Pancit Habhab? It certainly was delicious. The noodles are made of rice flour, so it's just like eating rice... i think. 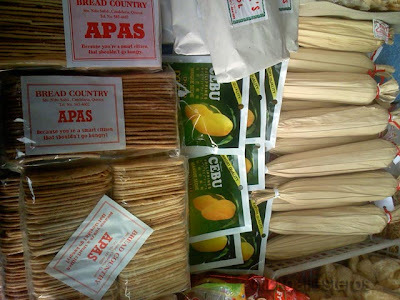 Right after our quick visit, we dropped by a local pasalubong store and bought some native delicacies. 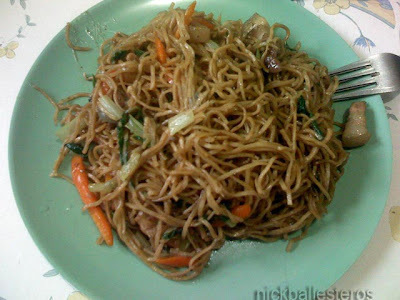 Pancit Lucban to cook at home! (that's what Pancit Habhab is also called). I asked how this is cooked. The vendor said we simply stir-fry veggies and add the noodles. Oh, ok... so the street version with the noodles going solo is actually a simplified version. You can also add your favorite veggies to it! 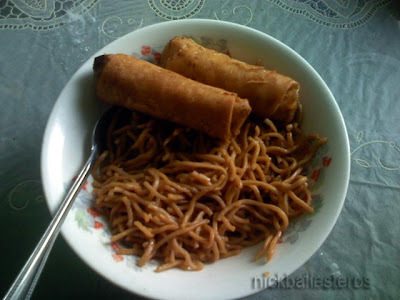 And so last weekend, my mother-in-law cooked the pancit habhab for merienda. Yum yum. try the PANCIT LUCBAN at Buddy's! Yummy!